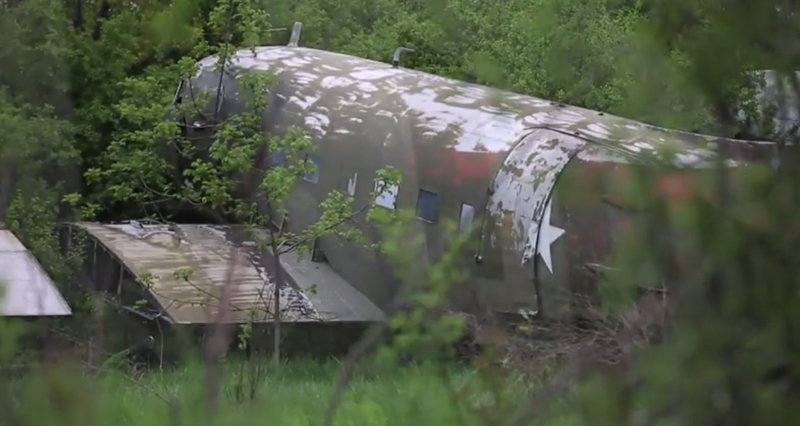 Last year, the remnants of a World War II airplane were found in a boneyard in Wisconsin. The Douglas C-47, originally built in Tulsa, was on its way to being turned into a more modern turboprop airplane. The Oshkosh company that owned it didn’t know its lineage. If that had happened, a significant piece of U.S. history would have been lost. The airplane — known as “That’s All, Brother” (a message intended for Hitler), was the airplane that led the D-Day invasion. Yesterday, the Commemorative Air Force, which finds, restores, and flies historical aircraft, announced its intent to raise the money to restore it to its D-Day condition. “What tends to happen is the planes that survived the war don’t have very interesting histories because they didn’t go to Europe or they were sitting in a factory or never went into combat,” Adam Smith, the VP of development for CAF tells the Dallas Morning News. “They’re wonderful planes, but they’re not particularly interesting. This one, not only can we bring an exciting airplane back to life but the story it carries … I’ve been telling people it’s like Abraham Lincoln’s hat. If I go on eBay right now I can buy a top hat made in the 1860s for a couple of hundred dollars. But if it’s Abraham Lincoln’s top hat and I can prove he wore it the night he was shot, it stirs a lot more emotions.